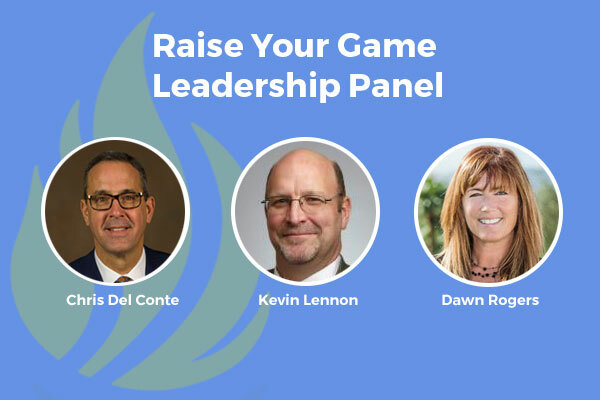 Join us in Kansas City on March 8 during the Big 12 Men's Basketball Championship for our second-annual Raise Your Game Leadership Panel, sponsored by the DLR Group! Doors will open at 4 p.m. CT. The event is free for members and $20 for non-members. From 4:15 to 5 p.m., listen as Patti Phillips, CEO of Women Leaders in College Sports moderates a conversation with Chris Del Conte, athletic director at the University of Texas; Kevin Lennon, vice president of Division I at the NCAA; and Dawn Rogers, deputy athletics director at Baylor University. From 5 to 6 p.m., enjoy drinks and refreshments with your Women Leaders in College Sports network. The event will be at the Berg Event Space at 1525 Grand Blvd, Kansas City, Missouri, just two blocks from the Sprint Center.